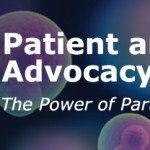 Please join them for this discussion of plasma therapies and the unique role they play in the treatment of rare, life-threatening diseases such as hemophilia, immune deficiencies, genetic emphysema, and chronic inflammatory demyelinating polyneuropathy. Established in 1940, Grifols is a global healthcare company that produces plasma medicines used to treat patients in more than 90 countries around the world. * This briefing complies with the requirements of the widely attended event exception.